I'm just going to pretend that there hasn't been a gap of nearly 8 months between posts if that's okay. I'd rather not think about why I've been absent and tell you about something lovely instead. Cool? So a few weeks ago The Glutenite and myself were down the butter aisle in Tesco trying to find where they'd put our usual purchase of Crisp n Dry blocks. They were nowhere to be seen. However, pretty close to where the cooking oil should have been was an interesting but unfamiliar looking box. So I picked it up. And started a bit of an addiction. I've missed pastry, it's one of those things that I've tried to replicate but only fleetingly because me and baking - well, y'know. There's far too much science involved for me, I figured I could be a pastry fiend no more. I'd been clean for 5 years. Except for a few homemade gluten free shortcrust quiche crusts - I've never been a shortcrust pastry fan really, always puff for me - now I am a pastry addict once more. 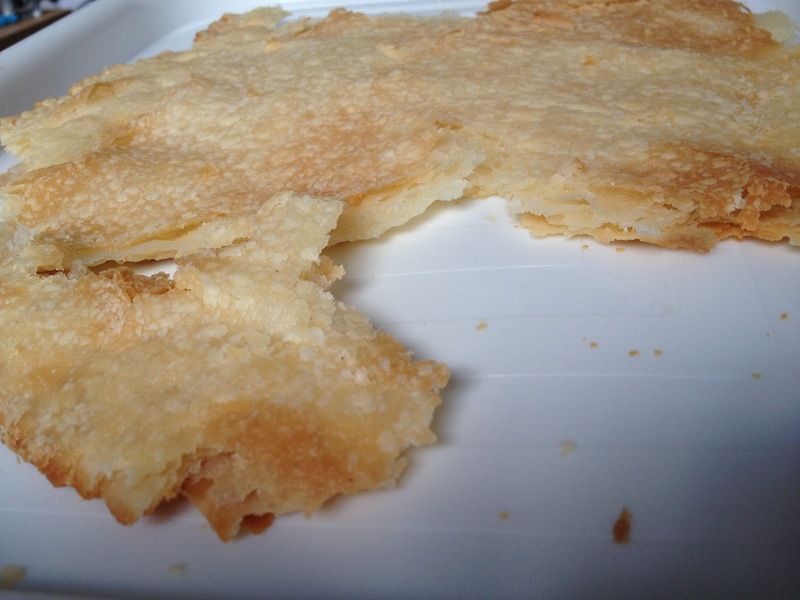 If you liked puff pastry prior to being gluten free then you are going to love this! If you've ever tried to work with gluten free pastry you'll know that time is of the essence. There's no faffing about to be had here because it will go horribly wrong (trust me). It may be super convenient pre-made gluten free pastry but the gluten free bit means haste is required. Also, you need this as cold as possible before you start rolling, don't leave it at room temperature then start working on it. What we've started doing is popping it into the freezer for a couple of minutes just prior to opening it. Makes it much more manageable. Once you know those things Silly Yak pastry is a game changer. 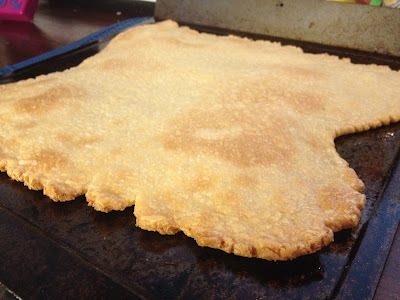 We started off using it to make gluten free versions of those bacon and cheese things you get from Greggs. The thing that's a pastry square with bacon and cheese in the middle then two corners are folded into the center? I was never a big fan of Greggs but I did like those. Absolute success, though sadly I don't have any photos to share as I didn't think I'd be writing this. 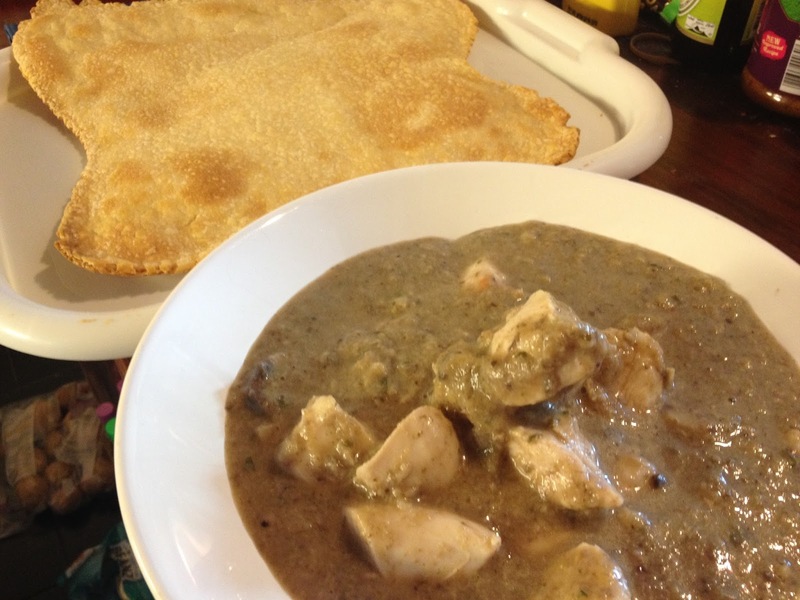 The latest use is for the topping of a Chicken and Mushroom Pie. First time I went all conventional and put the pastry over the filling. It didn't hold good. 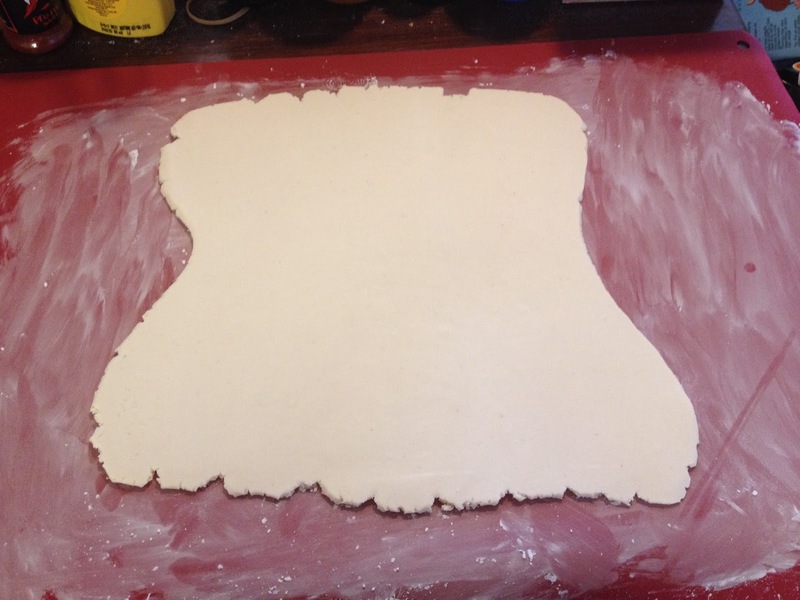 So now we just roll it out and make a 'lid' that we serve to the side of the chicken and mushroom bit. This pastry is SO good to dunk. I've had various gluten free pastry products over the years, things like pies and sausage rolls, but nothing has ever come close to this. It's divine. Aside from the fact that it doesn't rise like regular puff pastry, it is puff pastry. Taste-wise, you really wouldn't know it was gluten free. Same for the texture. Everything about Silly Yak pastry is amazing. Here's an embarrassing thing to share; the packaging totally caught my eye, it's cute, playful, even kind of matches my blog theme! But the thing is..... 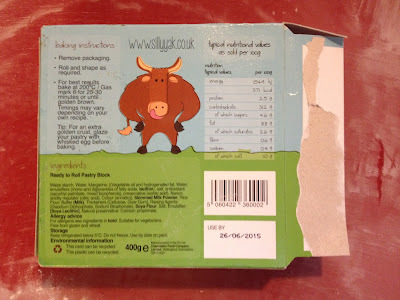 Although I'd thought about it due to a previous life in marketing, well it was 3 weeks in until I realised why the brand was called Silly Yak. I didn't actually realise it either, The Glutenite mentioned it and I was quietly like OMFG, that's so clever!!! I've had a tough time, I'm allowed extra blondness. Seriously, I can't rate Silly Yak pastry enough. It is a wonder. Please don't blame me though when you've got the same addiction as I and none of your clothes fit. mmm I'm tempted, I had sworn never to buy GF ready made pastry every again after the horrendous things I've had in the past, but to be able to have puff pastry, I might risk it! I'm still not getting why it's called silly yak....,although I imagine I'm about to feel pretty stupid! Haha Kirsten, that made me laugh! No need to feel silly. 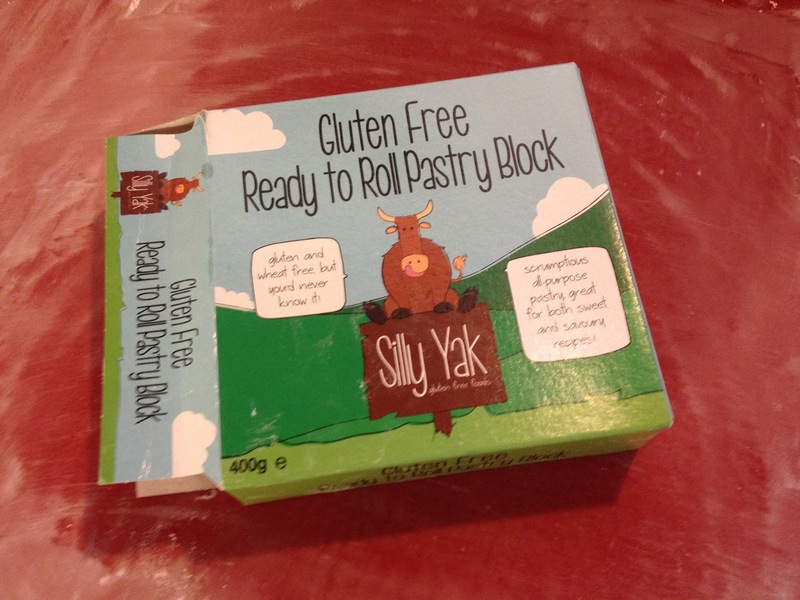 Depending on where you are in the world: Coeliac or Celiac = Silly Yak. I have only just discovered your Posts, and they are brilliant. Made my day! I did not get 'Silly Yak' either; that is such fun, and I am going to look out for it in the shops. Thank you. Hope you get the time to write more posts to help us with this daft disease called Coeliac! Best wishes to you, Brenda. Thanks again for taking the time to comment, it really does make me happy! Thanks for the review! 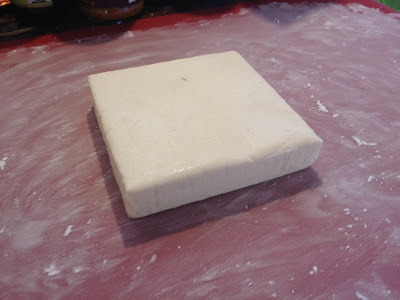 I'm just getting ready to make ...something with the black of Silly Yak pastry we bought a few days ago. It makes awesome double crust pies, tarts and mince pies! !